The GA-HQ VG Character Art Collaboration: Baiken… drinks you under the table! “Baiken is one of my favorite characters from Guilty Gear and the first one that made the game really fun for me! I had a blast drawing my own interpretation of her and since most of the illustrations are very anime-like, I thought I could try to make my version more realistic. 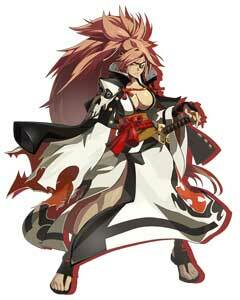 Baiken is one of the playable characters in the Guilty Gear fighting games. Since the first game back in 1998 actually even if she was “only” a secret but unlockable character there. She is one of the few Japanese characters in the game and kinda represents the traditional Samurai warrior while almost everything about her visual design and the majority of her fighting moves are anything but traditional. She is driven by revenge for “That Man” a character that is a part of the 20-year-old story of the first game already but not yet a playable character or a boss in the Guilty Gear games. 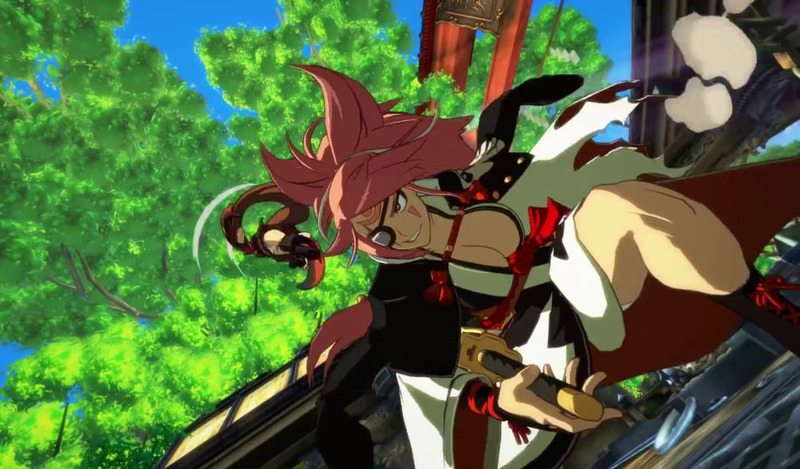 Since Arc System Works mentioned they are working on something new related to GG, we might see a conclusion of the story between Baiken and him next year. 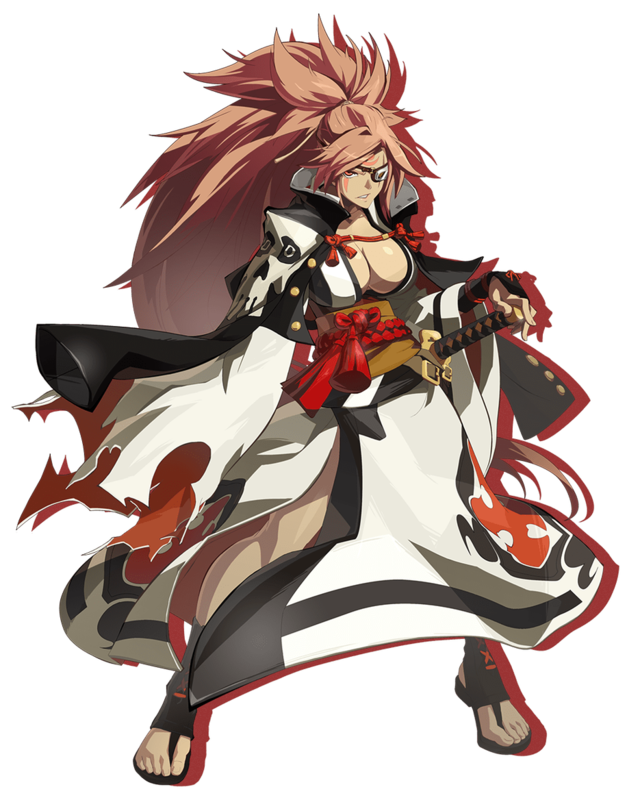 Baiken uses a Katana sword as well as a couple of hidden weapons ..she is great as a rather defensive character and has an excellent anti-air counter. It can be difficult to defeat characters that are good with zoning their enemies with her though. Baiken was one of the most wanted characters to return in Guilty Gear Xrd but I would love to see the return of Bridget and Zappa in the next iteration of Guilty Gear as well. Mari S. aka Suomar is one of the few artists from Finland alongside Aleksi Remes that joined Game-Art-HQ and participated in our art collaborations. 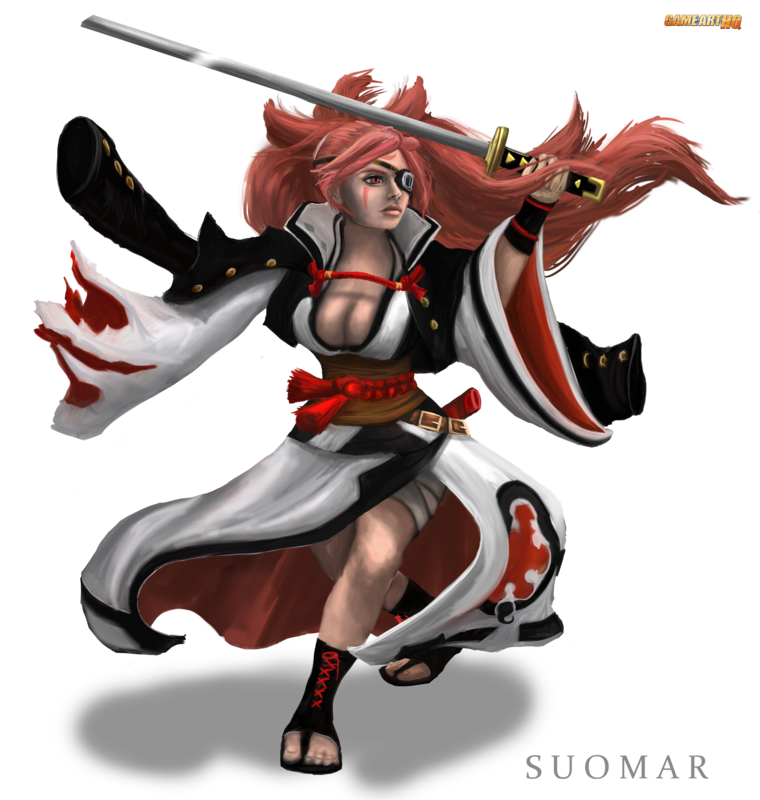 Her take on Baiken is her first contribution so far and I look forward to any future submissions, be it for our character project or the just announced video game history one. As you can see she draws video game related art for fighting games as well as World of Warcraft alongside many other artworks, her gallery there on deviantART really is something you should check out if you like these examples!